One Direction star #Liam_Payne is set to return to work as he has reportedly co-written his debut single with singer #Ed_Sheeran. Payne's solo career was put on hold in past few weeks, after he welcomed his first child with girlfriend Cheryl in March. 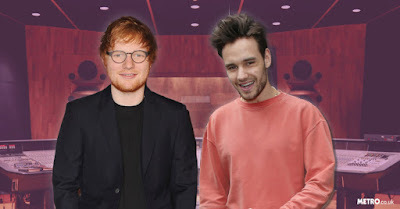 According to a source, Payne went back to Britain from his recording studio in Los Angeles after hearing that Sheeran had written a song for him -- which he hopes will reach a wider audience beyond One Direction fans, reports dailymail.co.uk. Payne made the trip to London after discovering that Sheeran had started producing a track with him in mind. "Liam and Ed have been friends for years, ever since Ed first wrote for One Direction on their debut album," the source told The Sun newspaper. "With Ed's expertise in creating a hit, Liam knows they can't go wrong. They have produced something special together," the source added.